"Advisement to transgress"refers to the reflection and application of bell hooks' scholarship outlined in Teaching to transgress: Education as the practice of freedom to professional development, practice and advisement in higher education. bell hooks is a celebrated scholar, feminist and social justice activist with a prolific academic career and we we encourage you to explore more of her works as well as those of similar authors such as Paulo Freire. More specifically advising to transgress asks to consider the advisement as teaching analogy and what boundaries limit our students & profession. Consider if we replace "teaching" with "advising" in the following quote. To enter [advisement] settings in colleges and universities with the will to share the desire to encourage excitement, was to transgress. Not only did it require movement beyond accepted boundaries, but excitement could not be generated without a full recognition of the fact that there could never be an absolute set agenda governing [advisement] practices. Agendas had to be flexible, had to allow for spontaneous shifts in direction. Students had to be seen in their particularity as individuals… and interacted with according to their needs... (hooks, 1994. p. 7). Through our own identity & experience? In relation to our profession or our students? ​We encourage you to use the social media hashtag #AdvTransgress or to submit your reflections by join our community page. Share your reflections about (1) how bell hooks has influenced you, (2) ways in which you or your students have transgressed boundaries to help others, or (3) let us know what other books, authors, or theorists have similarly impacted your professional development and advising practice. It is important to consider that reflection alone is limited without action. ​According to hooks (1994) praxis is a combination of “action and reflection upon the world in order to change it.” (p. 14). How often do we find time to purposefully reflect on our practice as advisors? Do we use what we learn from our reflections to take informed actions? How could we change the world as advisors? How do we empower our students to change the world? ​The idea for Advising to Transgress came to me in the car, as I drove to work. It was my second year teaching an undergraduate Sociology of Higher Education course where bell hook's Teaching to Transgress: Education as the Practice of Freedom was the primary text. I thought about all the times I had read it: at the beginning of my master's program in higher education and student affairs, five years later as I pursued my Ph.D., and a decade after that within my classroom, and every year since. I realized how influential it had been to my professional development and practices as an advising administrator, a student affairs professional, and as an teacher. bell hooks words resonated with me over time. Even as my professional roles changed, her words still spoke to those experiences as well as the experiences of my students. I taught my class with a renewed exuberance that day. As soon as I got back to my office I reached out to Danielle Johnson an advising colleague from my Ph.D. program to share my thoughts . We had read Teaching to Transgress together during our Ph.D. program and I thought it would be a perfect opportunity to present together. Shortly afterward I also spoke with Sara Ackerson an advising colleague from NACADA: The Global Community for Academic Advising, and found that she and other colleagues had similarly been influenced by bell hooks words over the years. 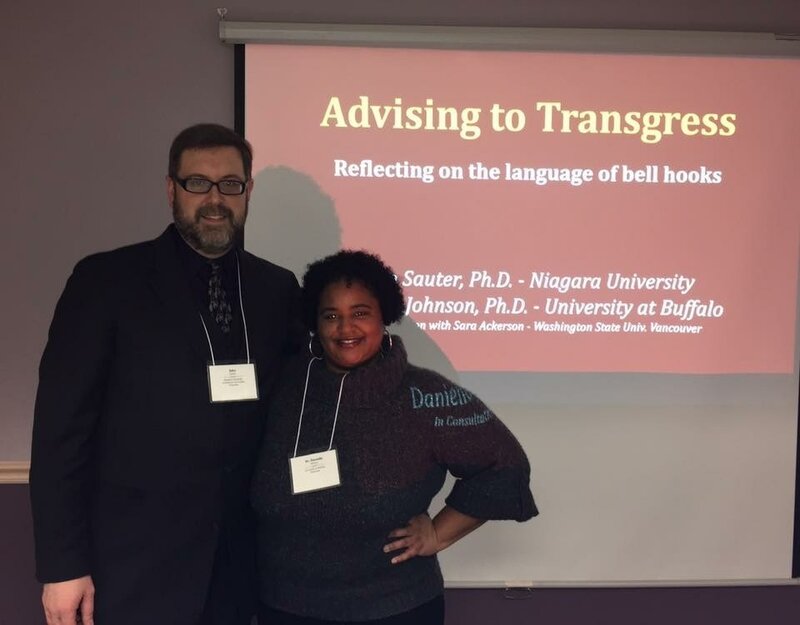 From those conversations we developed the hashtag #advtransgress, and our presentations, Advising to Transgress: Reflecting on the Language of bell hooks, which we offered to packed rooms at our regional advising conference and the national NACADA conference in Atlanta. Many advisors we spoke to had been professionally influenced by the concepts behind Advising to Transgress or bell hooks' scholarship. 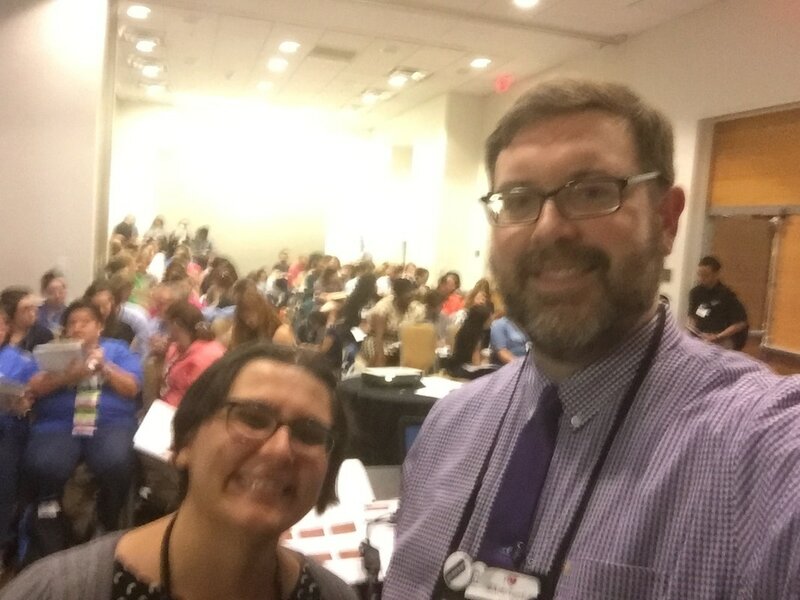 We weren't the only presentation focused on bell hooks at NACADA either, and we certainly aren't the first to consider her words in relation to higher education, but we found that the concept of Advising to Transgress was an effective way to bring the discussion to the advising profession. On January 24th, 2017 we partnered with @AcAdvChat to offer an Advising to Transgress themed twitter chat using their #acadv hashtag, which then led to the idea of creating this site to connect other scholars and practitioners. We have several other potential collaborations in the works and will update you as they progress. If you have written or presented on bell hooks in relation to higher education or if you are interested in submitting reflections, please let us know by joining our community, submitting PDFs of your presentations, or by contributing reflections or links to relevant resources. - John P. Sauter, Jr., Ph.D. This page is not associated with bell hooks, but hopes to foster the collective reflection of advisors, student affairs professionals, faculty, and other higher education professionals who have been influenced by her words. hooks, b., 1994, Teaching to transgress: Education as the practice of freedom, Routledge, New York.